The Nikon 200mm f/2 VR II is one of those lenses you always read about, but short of running into a professional sporting event, an affluent amateur, or Ryan Brenizer you just don’t see them. They’re rare and they’re expensive, but besides the obvious lust factor of the lens, is it any good? To begin with, who is this for? I think that one look at the price tag will let you know it’s not for the average Joe, but tailored to professionals who absolutely demand it. 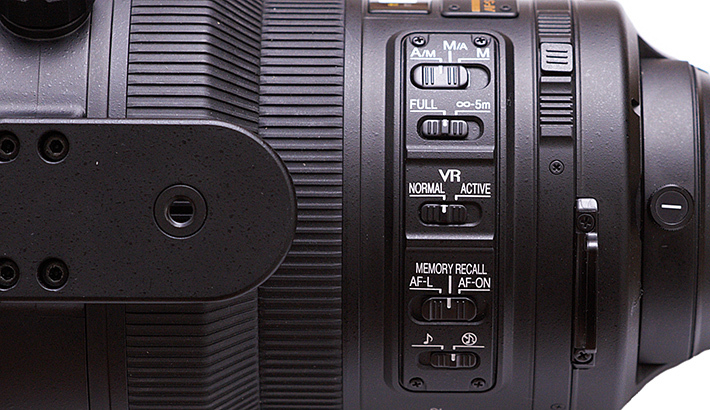 It is an updated version of the 2004 model, with the new VR II system that claims four stops of improvement, and a Nano Crystal Coat that reduces flare and ghosting. If you’re shooting indoor sports and cannot afford not to have that extra stop from f/2.8 you probably already own this, beyond that though, this lens becomes an artistic choice. So let’s start with the build quality. Simply put, this lens is a tank. It has a solid metal body, which honestly feels like it could stand up to anything, and a thick, knobbly focus ring which lets you adjust focus with one touch. It also comes standard with a massive metal hood that you probably shouldn’t remove due to the front elements size. You can’t put any kind of filter over it, and I would hate to scratch a lens this pricey. Overall though, It’s a solid, well put together lens, but that comes with few problems. It’s big, and it’s exceptionally heavy. Weight is something that you just learn to live with on super telephotos like the 300mm f/2.8 and beyond, they’re big and heavy and that’s that. But this is a 200mm lens, not a super telephoto. This lens will make you wish you went to the gym more often, it’s just on the cusp of not being hand holdable. You can do it, but you won’t like it after about 10 minutes. In addition to the weight, the ergonomics of this lens are a little awkward for hand holding. The massive focus ring is exactly where I want to put my hands every time, so I end up bumping focus. Really it just boils down to the fact that the best way to shoot with this lens is probably on a monopod. Luckily Nikon has included a built in tripod/monopod mount to the base of the lens. It is also on a swivel so you can rotate the barrel of the lens for vertical portraits, without having to remove the camera from the tripod. The only real issue that I have with this lens is the fact that it’s just plain gaudy. When I’m shooting downtown, usually all comments from passersby (if any) are directed towards the couple that I’m shooting. When shooting with this lens, I was guaranteed to have at least 5 people come up to me and ask me what lens I was shooting with. So, if you’re looking for a lens for street photography or any other type where you’d need to be discreet, this is not that lens. At the same time though, if you want to impress your friends and forever have a bigger lens than anyone you come across, you might want to consider this as a long-term investment in your ego. But please don’t. So it’s built like a tank and it weighs a ton, but what about its performance? In a word, it’s awesome. It’s one of the sharpest lenses I’ve ever used, and the absolute best bokeh on the planet. 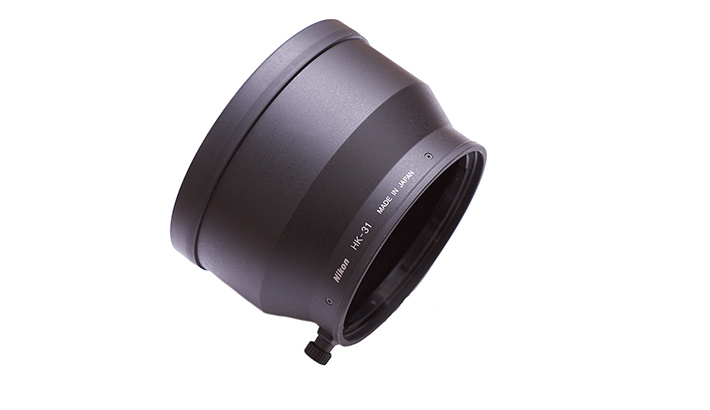 From headshots to full length portraits, you can’t find a better portrait lens. The Autofocus is extremely fast as well, it’s nearly silent and very accurate. The second generation VR is also amazing for taking pictures of still images when you might not have the light to shoot at 1/200th and beyond. I was able to get usable (not perfectly sharp, but passable) images at down to 1/40th of a second. That’s stellar in my book. In addition to all of the usual refinements, the 200mm f/2 has a battery of switches and nobs on the side that allow you to set up the lens to your own specifications. You can set the focus distance range, VR settings, memory settings, and even turn on the focus beep (please keep this off). It also has the option to add a rear ND filter, which is a huge help if you’re trying to use this lens with strobes. I didn’t have one to play with, but it seems simple enough, just unscrew the slot and place the filter in. 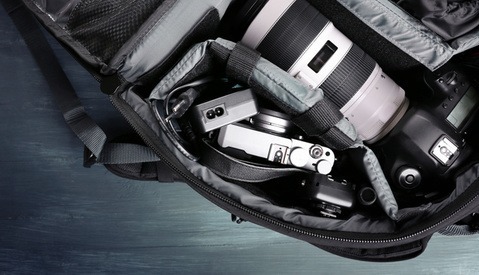 I can’t imagine it would be anything short of awesome, although what I have heard from someone who has used the filter, is that it is somewhat frustrating because the slot is only narrow enough to accept proprietary Nikon filters, which are of course much more expensive than other options. Overall this is a straightforward, masterpiece of a lens. If I didn’t have to be seen with it (or carry it), I’d shoot with this thing every day, it’s just that good. Once we get into price though, this is where things get painful. At nearly $6000 ($5300 imported) this the most expensive 200mm lens on the market and do you REALLY need that extra stop? If you shoot indoor sports than the answer may very well be a resounding yes, but otherwise, this isn’t a lens you buy out of necessity, it’s a lens you buy because you want something truly special . If you want an excellent 200mm lens, with all of the professional features, the solid metal body, VR and the brilliant optics, PLUS the added practicality of a zoom range from 70-200mm, just buy the Nikon 70-200mm f/2.8 VR II. It’s three thousand dollars cheaper. 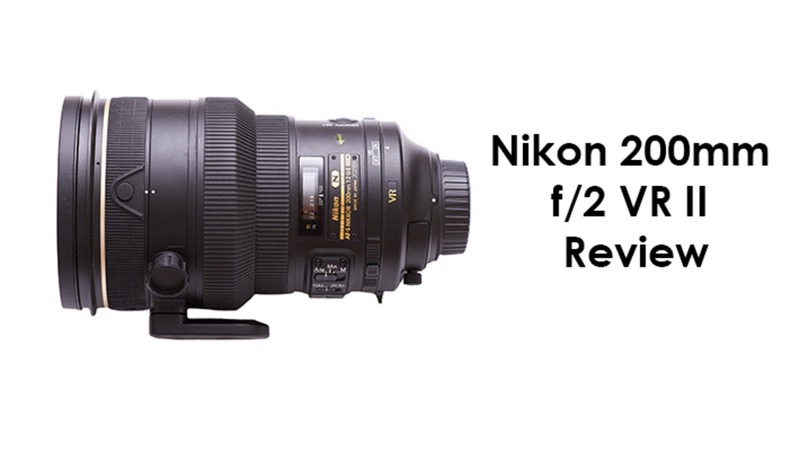 Just for the sake of it however, let's compare the Nikon 200mm f/2 vs. the Nikon 70-200mm f/2.8. 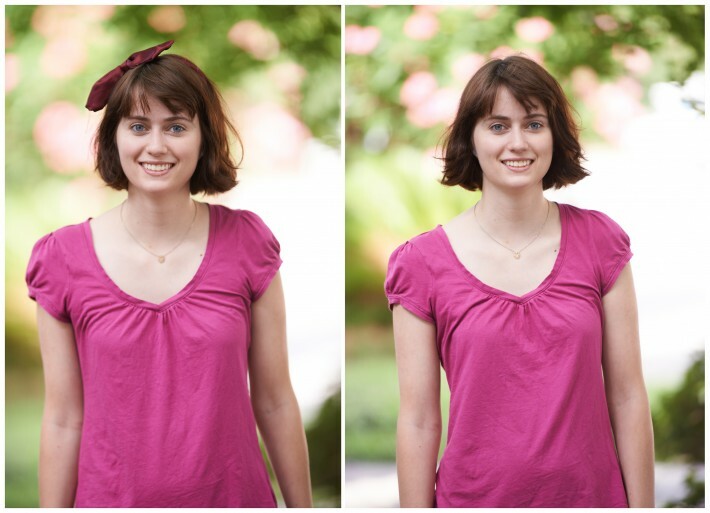 If you take a look at the images below, they're a comparison at 100% between the two lenses at their maximum apertures. The conclusion? The 200mm f/2 is noticeably sharper with much nicer bokeh. But, is it really $3000 sharper? For me it isn't. In a perfect world I would own this lens and I would be exceptionally happy, but I have to realize that these differences aren't things that my clients see, and therefore the return on that $3000 wouldn't be worth it. That being said however, this really is one of the best lenses I’ve ever used. If you want it, and you can justify the huge price tag, buy it. You won’t regret it. For all of you people who’s immediate response to this article was tl;dr, here’s a quick overview of my thoughts on this lens. As I said earlier, this is really one of the best lenses I’ve ever used. It’ s fast, solid, sharp and in my mind anyway, worth every penny. That being said though, I’m still not going to go out and by one. The 70-200mm f/2.8 works just fine for me. 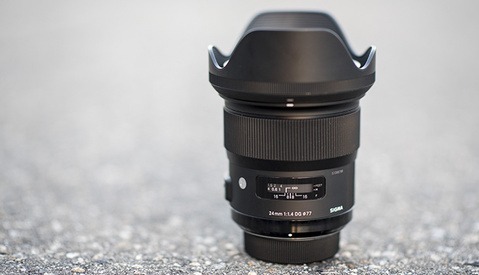 If you're interested in taking the plunge, check out this lens on B&H HERE. 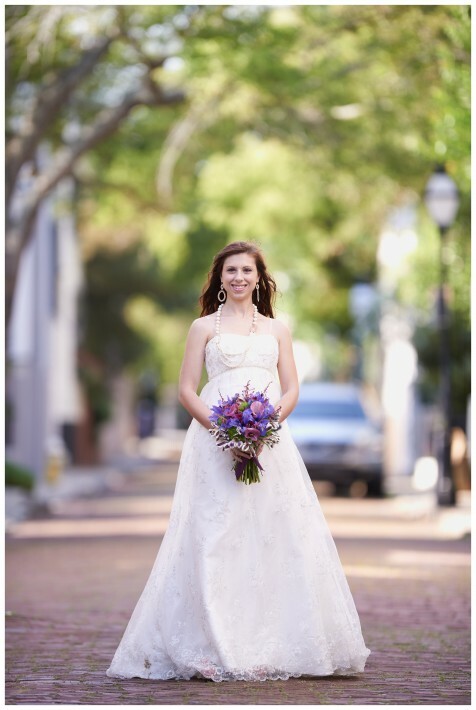 If you're interested in seeing more shots from this lens, take a look at my website www.CharlestonsWeddingPhotograper.com or my like Facebook page HERE for more frequent updates! I think the 105/135 2.0 handle CA much better than say, 85 1.4. In addition, their handling of sun flare is so elegant. I've rented the 200 2 a few times, but I can't imagine using it for more than 30 minutes at a time, let alone a whole afternoon full of portrait sessions. Which 851.4 are you referring to? The 851.4G handles CA much better than the 135. 85 1.4G. We shoot a lot of backlit portraits during sunset. It's been great, but I've put it up on eBay recently, and replaced it with 105 f/2 DC. The flare I get during sunset shoots with it is simply unmatched. The last comparison is startling... the prime creates a sort of "bow-keh" effect, completely invisible in the zoom shot. The lens is so good it made the bow disappear. The list could go on. I'd agree that this might be a good-to-great lens, but world's best is way over the top. It does make a catchy headline. Sorry,you are speaking from ignorance. Portraits can be taken anywhere and some shooters use the 300f2.8, so no, the lens does not have to be very mobile. You are confusing quality with practicality. None of the set ups you mentioned comes close. why is it every time someone speaks of or reviews a big, expensive lens, they can't resist including terms such as "ego" and phrases that indicate there is some kind of size competition involved ("want to impress your friends and forever have a bigger lens than anyone you come across")in the ownership? Grow up. Photographers buy this lens for the same reason they buy any other lens: they have a use for it. Period. Stop projecting your own reasons for ownership. Well, another discussion that becomes very emotive when superlative words like "best portrait lens" are used. I have not yet tried this lens, but I know the 135mm DC very well. Still, I do not believe that this lens is the "best portrait lens" to shoot with, since a 200mm is very inconvenient for portraits to start with, even 135mm is close to far enough (hence the declination in 105mm DC). It all depends on where you chose to shoot your portraits. I agree that the 135 is often on the long side for indoor portraits, but for location work, 200mm is excellent. Some shooters use the 300 2.8. At double the price of a 70-200mm f/2.8 VRII and 6 times the price of a 80-200 f/2.8 , does the 200 f/2 VRII REALLY blow those lenses away or do you WANT to think that it does to justify you spending that kind of money on a single purpose lens? You can get a 200-400mm f/4 for that kind of money. When you start getting to this class of lens, the price increases d exponentially for relatively small benefits, but there are shooters who demand that. Why do you think fashion and advertising campaigns still call for MF backs which are 5-10 times the price of a D800? Also, the 200f2 is a popular sports lens and having one stop extra speed can make the difference between getting a shot and not. Yes you can get a 200-400mm f/4 for that kind of money, but the 200f2 will be far superior for all apertures at 200, and coupled with a TC, at least matches the 200-400mm f/4 up to 400mm. Well I agree that at a certain level, you want the absolute best of everything at every focal length but unless I did professional work at the highest levels, I just can't see spending that kind of money just to get a slightly nicer blur or slightly sharper picture. Thank you for injecting some common sense and real world experience into the debate. Here's the best use of the 200mm f/2 I've ever seen. 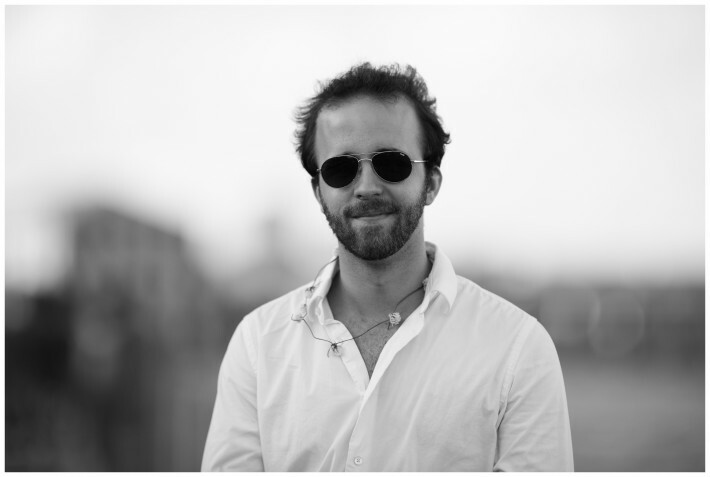 I own the 200 f/2, and use it almost exclusively for portrait work. It's image quality, even wide open, is exceptional from edge to edge. The only portrait lens that marginally surpasses this lens (in my two-cent opinion) in terms of image quality is the Zeiss 100mm Makro-Planar f/2, but that is a different type of lens (manual focus, no VR). On a strictly superficial level, many clients do seem to be impressed when you pull out the 200mm f/2. It is quite the flamboyant piece of glass. If you aren't a photographer, this lens mounted on a D4 or D800 looks like a weapon out of a cheesy science fiction movie. And, it's built like it's hewn from solid rock. I could run over this lens with my car and the car would come away more beat up than the lens. 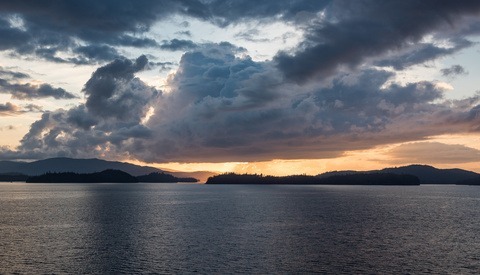 The 70-200mm f/2.8 is the finest zoom lens I've ever owned, but it's a zoom lens. All things being equal, I will always go with the prime lens over a zoom. It ain't cheap...but that's par for the course in photography. I won't lie...it hurt my credit card when I took the leap to buy this lens. But, I had no buyer's remorse. 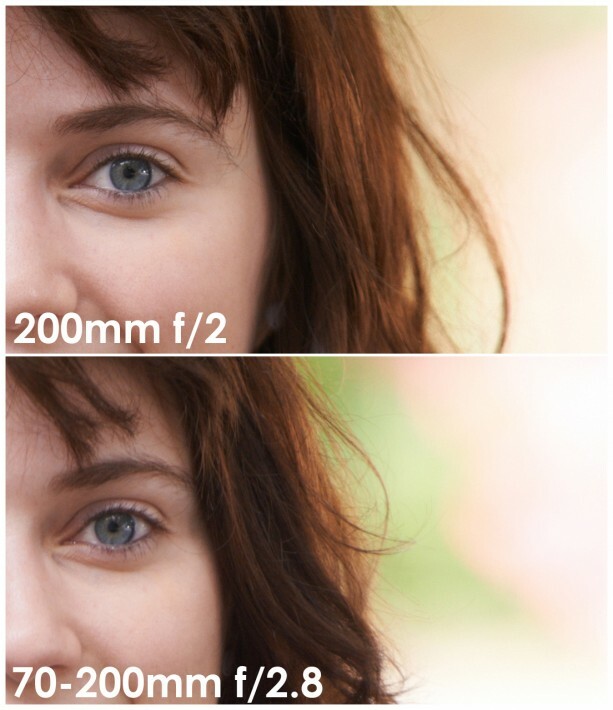 200 f2 is the sharpest lens ever tested in dxomark lab. so yeah it makes this lens best portrait. Hi Ozkan! I found your video on YouTube 6 months ago and helped convince me to buy the 200f2! :) Good work my friend. I have this 200mm and this is a phenomenal lens. The weight is the issue after 10 minutes or so... The quality of the image produced is second to none... I read below that the photographer does the picture, let me reply that the lens does help ;-) Worth every penny. I have the 200f2 and the 70-2002.8vr2. The 200 is a completely different beast the IQ is worlds apart. Heavy yes but totally worth it! this isn’t really a fair comparison. try comparing the two lenses when the background is 3ft away. from what I’ve seen, the 200 f2 will still blur it into oblivion, and for half body or tighter shots, the magnification isn’t even close. the 70-200 simply cannot match the magnification due to focus breathing. it’s not simply a matter of taking a few more steps closer. there’s a limit to how close you can get with get 70-200. it acts like a 135 at minimum focus distance. you effectively are losing 65mm of compression,which is why the 200 f2 shines. So what are your opinions on V1 versus V2? Is it worth it? Would you consider a used V1 since it is no long being made? I actually have this lens and it produces extremely sharp images wide open and the bokeh is probably close to as good as you can get; not that it can be quantified. However, it is extremely heavy and not well balanced when using. The images though are truly stunning when used for portraiture and for my taste preferable to my 85mm f1.4. however, its only when you look at them side by side that you really see the difference. Personally I find it quite embarrassing to be seen with it because it is such a statement so I keep it for the studio. I am a Nikon man, I'm sure the 200 f2 can be used as a portrait lens successfully. But as for the ultimate portrait lens in my experience is the Mamiya RZ 110 f2.8 could qualify. plus the film area is almost 5 times larger on 6x7.